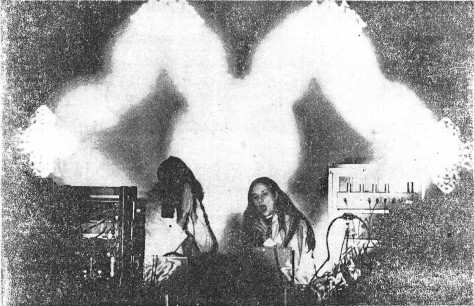 Dream House, produced by La Monte Young and Marian Zazeela, was an installation that created a ritualistic environment via light frequencies and music and sound performances. The piece of music performed was an excerpt from "The Tortoise, His Dreams and Journeys" titled "Map of 49's Dream The Two Systems of Eleven Sets of Galactic Intervals Ornamental Lightyears Tracery." This piece was performed by Young and Zazeela's Theatre of Eternal Music, which at the time also included Alex Dea, Jon Hassel, David Rosenboom, and DeFracia Evans.